Violence has been employed to achieve political objectives throughout history. Taking the life of a perceived enemy is as old as mankind. Antiquity is filled with examples of political murders, such as when Julius Caesar was felled by assassins in 44 BCE. While assassinations and assassination attempts are not unique to the American way of life, denizens of other nations sometimes look upon the US as populated by reckless cowboys owing to a Wild West” attitude about violence, especially episodes involving guns. 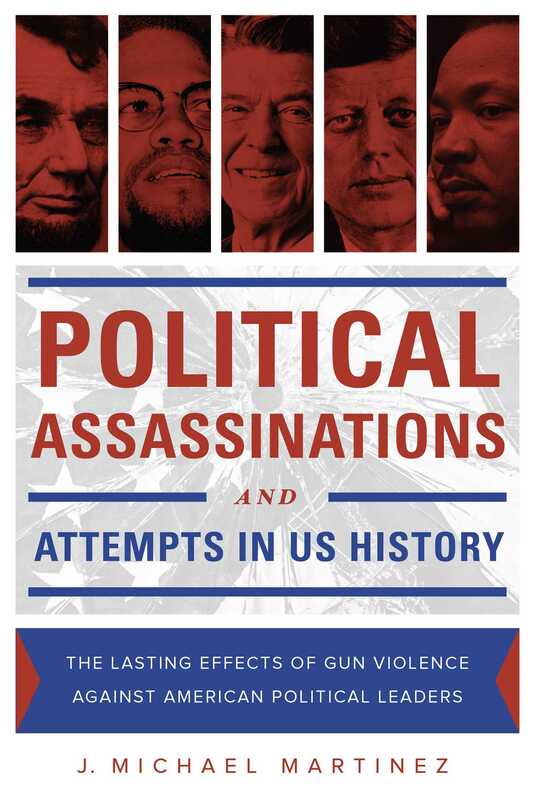 In this book, J. Michael Martinez focuses on assassinations and attempts in the American republic. Nine American presidentsAndrew Jackson, Abraham Lincoln, James A. Garfield, William McKinley, Harry S. Truman, John F. Kennedy, Richard Nixon, Gerald Ford, and Ronald Reaganhave been the targets of assassins. President-elect Franklin D. Roosevelt was also a target shortly before he was sworn into office in 1933. Moreover, three presidential candidatesTheodore Roosevelt, Robert F. Kennedy, and George Wallacewere shot by assailants. In addition to presidents and candidates for the presidency, eight governors, seven U.S. senators, nine U.S. House members, eleven mayors, seventeen state legislators, and eleven judges have been victims of political violence. Not all political assassinations involve elected officials. Some of those targeted, such as Joseph Smith, Malcolm X, and Martin Luther King Jr., were public figures who influenced political issues. But their cases are instructive because of their connection to, and influence on, the political process. No other nation with a population of over 50 million people has witnessed as many political assassinations or attempts. These violent episodes trigger a series of important questions. First, why has the United Statesa country constructed on a bedrock of the rule of law and firmly committed to due processbeen so susceptible to political violence? Martinez addresses these questions as he examines twenty-five instances of violence against elected officials and public figures in American history.